Rinse the chicken breasts and pat dry. Cut the chicken breasts into thin strips (it's easiest to do this if the chicken is partially frozen). 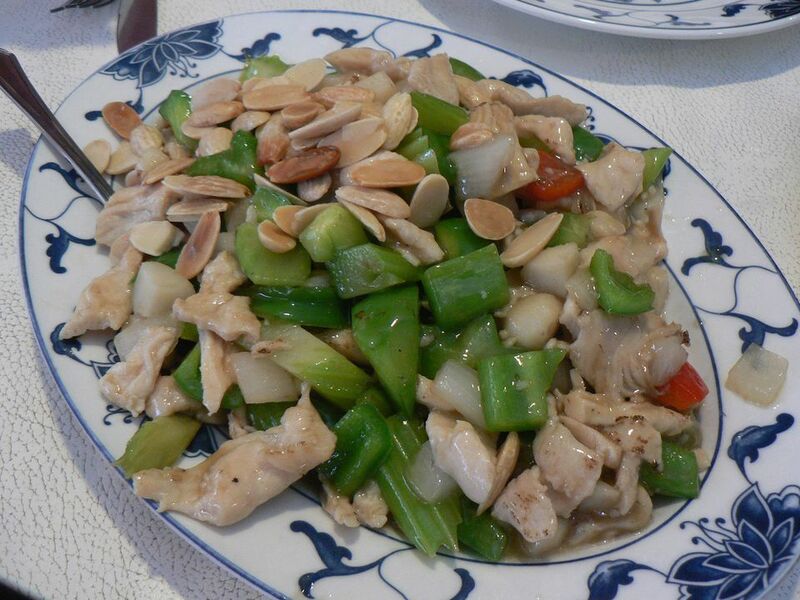 Combine the chicken with the oyster sauce, chopped green onion and cornstarch. Marinate the chicken for 20 minutes. While the chicken is marinating, prepare the sauce and vegetables. To prepare the sauce, combine the chicken broth, rice wine or dry sherry, sugar and soy sauce (a measuring cup works well for this). Set aside. Rinse the bamboo shoots under warm running water and drain. Heat a large wok over medium-high or high heat. When the wok is heated, add 2 tablespoons oil. Add the chicken. Stir-fry until the chicken turns white and is about 80 percent cooked through. Remove from the wok. Heat 2 tablespoons oil in the wok. Add the ginger slices and stir-fry until fragrant (about 15 seconds). Add the snow peas (or what other vegetables you are using). Stir-fry briefly, then add the bamboo shoots. Stir-fry for 1 minute. Add the sauce in the middle of the wok. Heat to bubbling. Add the chicken back into the wok and mix everything together, making sure the chicken is cooked before removing from the wok. Sprinkle with the slivered almonds before serving. Serves 4.